Photo courtesy of Alex Carlson. Found in hotel in Dali, China. 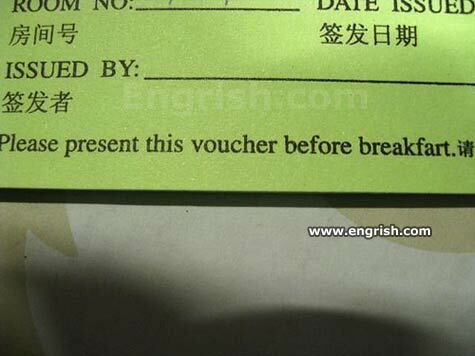 Finally, I can relieve myself with this voucher. I’ve been holding for 2 weeks now.